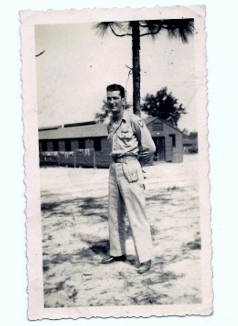 All ashore that’s going’ ashore…..
Anthony Randi – New Haven, CT; US Army, WWII, Cpl. 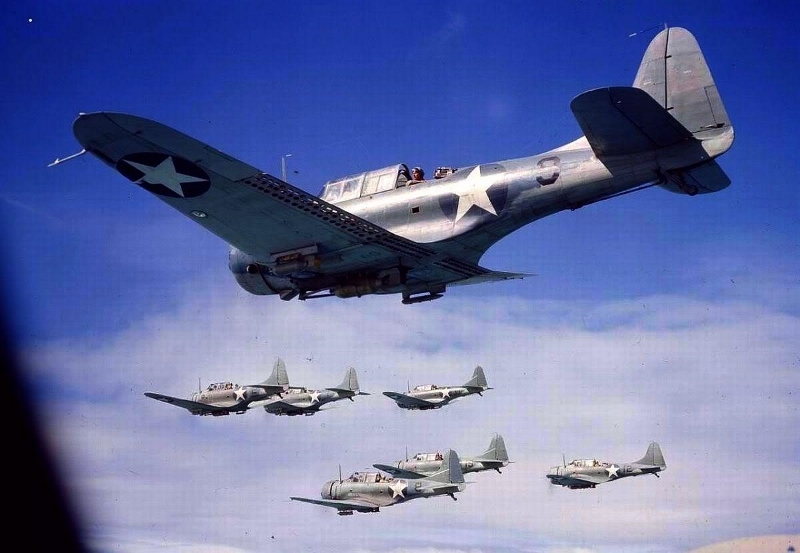 The SBD dive bombers were the main dive bombers of the US Navy and Marine Corps from late 1940. Some of them, known as A-24 Banshees were employed by the US Army, but they had no arresting hooks and used different tires. 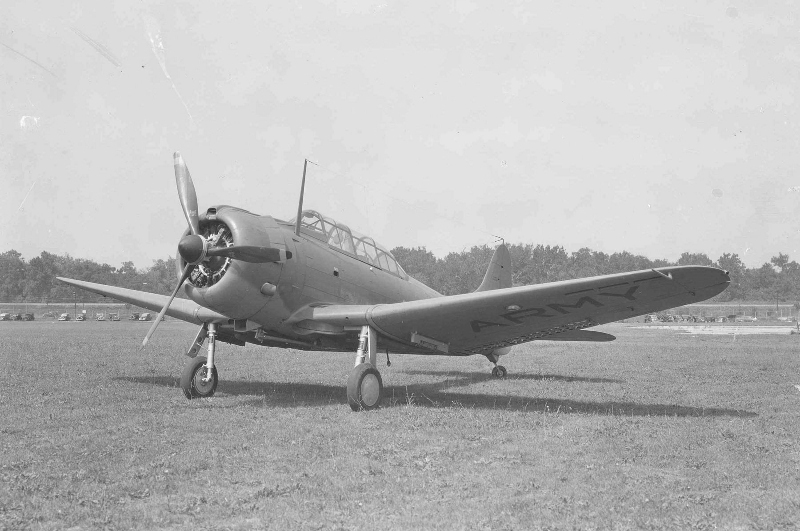 In early 1941, the variant SBD-3 went into production and offered increased protection, self-sealing fuel tanks and 4 machine-guns. 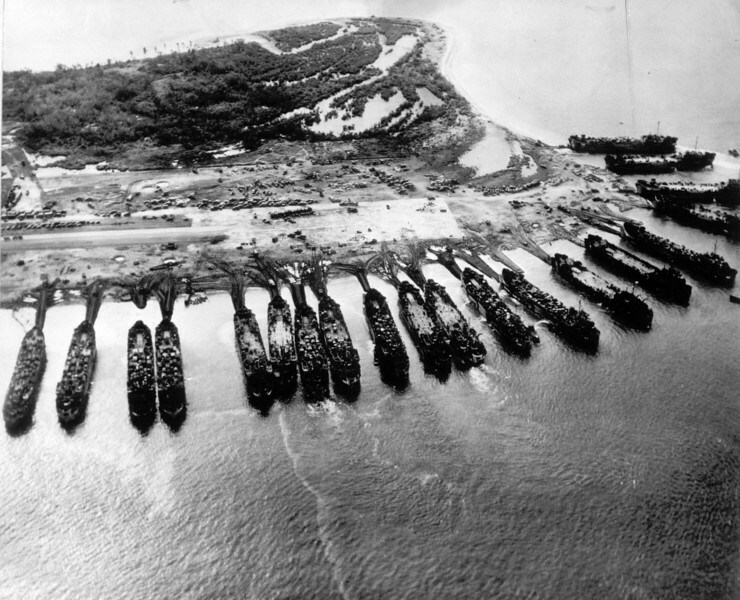 During the Battle of the Coral Sea, Dauntless bombers took part in the destruction of the Japanese carrier Shoho and in Midway they were involved in all 4 sinkings of Japanese fleet carriers. The Dauntless was a charm; rock steady in a vertical dive, completely responsive to the controls and ready to absorb punishment and still get you home. I was worked over by 2 Japanese Type 97 fighters over Maloelap on the afternoon of 1 February 1942 and came out of it unconcerned with 50 holes through the tail surfaces and left wing tip, a hole in the gas tank in the root of my right wing and one small calibre that broke apart when it hit the back of my armoured seal. 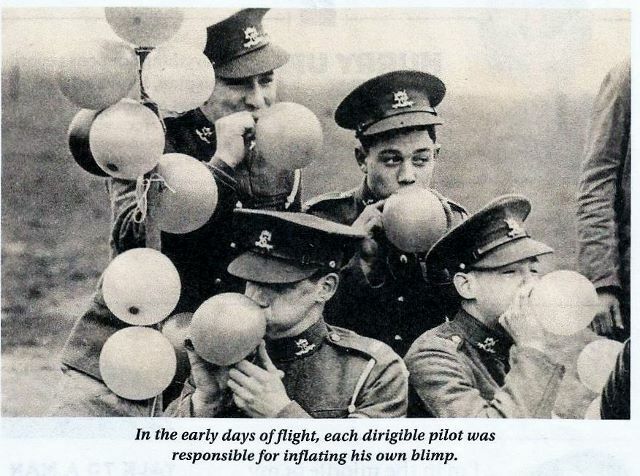 Our greatest vulnerability was the inadequate protection of the rear seat gunner. At Midway, a good number of our torpedo plane losses must have come from after the gunner was killed. At that point, the dive bomber or torpedo plane is dead…It was my observation that as long as the tail gunner was firing, the attacking fighter tended to break off the attack before getting into killing range. The 2-man crew were powered by one Wright R-1820-66 Cyclone 9-cylinder radial engine rated at 1,350 horsepower and possessed an armament of two 12.7mm machine-guns, two 7.62mm machine-guns, an optional 1,600 pounds of bombs to be held under the body and an optional 650 pounds of bombs under their wings. After the Coral Sea and Midway battles, the US Navy developed a highly efficient tactic with the SBD Dauntless; the ability to attack at a steep grade with the “helldiving” technique, while torpedo bombers attacked in conjunction to distract the Japanese gunners. Defensively, the heavy armament of 4 machine-guns posed a serious threat for Japanese fighters, which generally lacked armor protection. 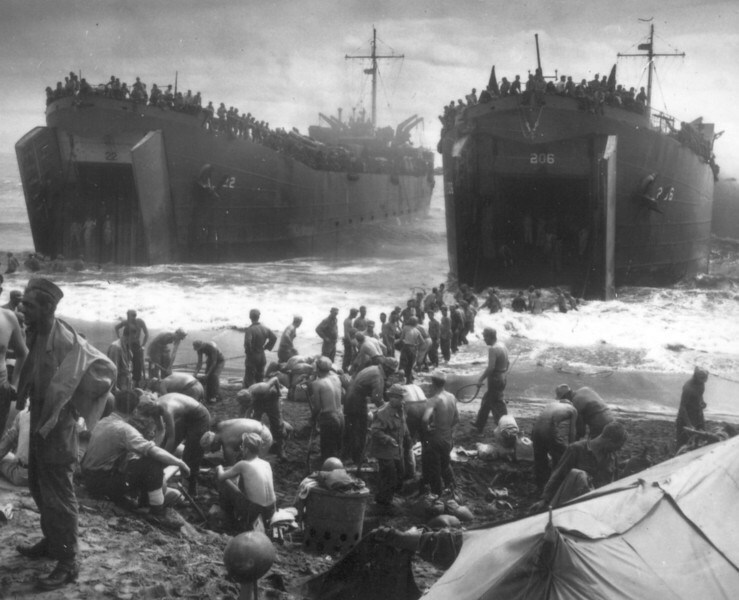 After being key participants of the various battles near Guadalcanal and around the Solomon Island area, they took their last major action during the Battle of the Philippine Sea. Their successors, the SB2C Helldiver bombers took over the main role. During the production life of the SBD Dauntless, 5,936 aircraft were built and they sank more Japanese shipping in the Pacific than any other Allied aircraft. 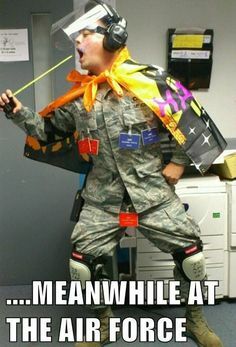 Our NEW Air Force ??? 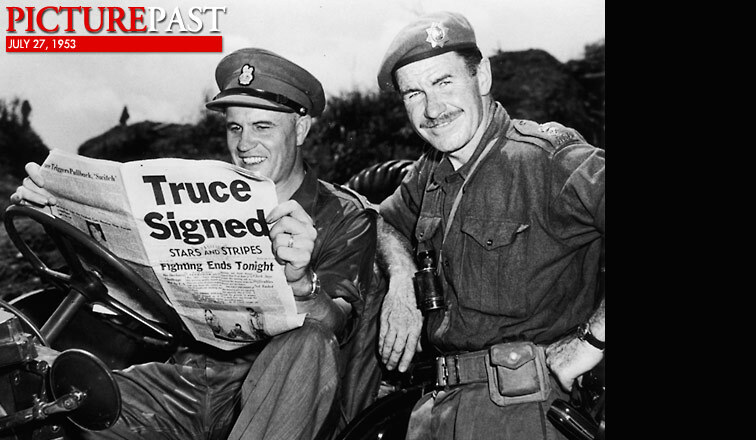 Personal note – The posts listed under the title of Intermission Stories will be numbered just as the Korean War series is. 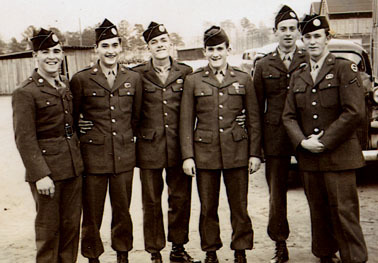 These will be first hand stories, events missed, pieces I found to be interesting, obituaries and my own experience climbing into a B-17 “Flying Fortress.” (Try not to laugh too hard at that one.) This will enable me to gather and try to organize the data I have accumulated for the forthcoming WWII series. 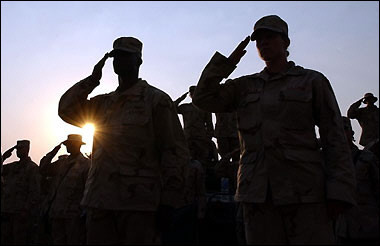 Please remember – all of your stories are welcome in the comments and they need not be only of these two wars; some of you are current members of the military and some are civilians with home front experiences. 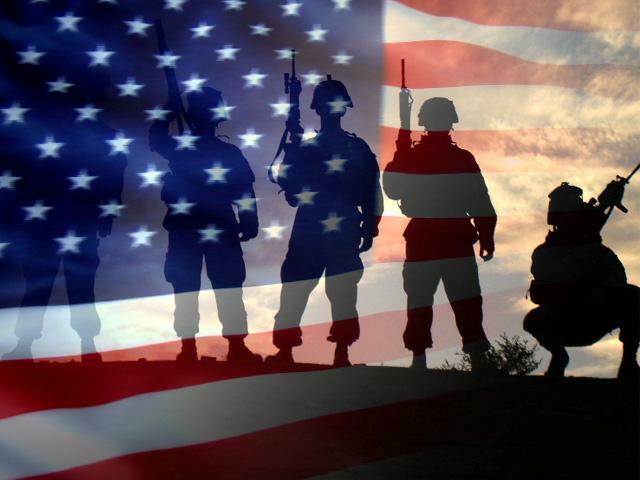 If you have a post or web site dedicated to a veteran and/or event, please supply a link so that all of us can read it. 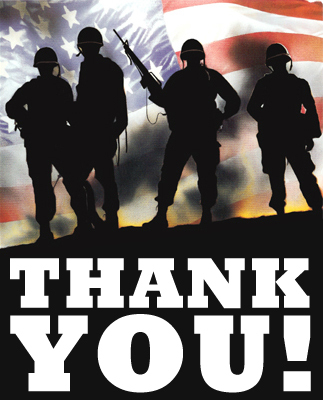 Thank you ALL for your loyalty, friendship and willingness to participate with me in our goal to REMEMBER! 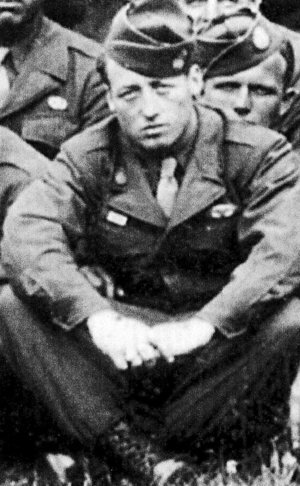 William “Wild Bill” Guamere – one of the World War II veterans whose exploits were dramatized in the TV miniseries “Band of Brothers” has dies; he was 90 years old. 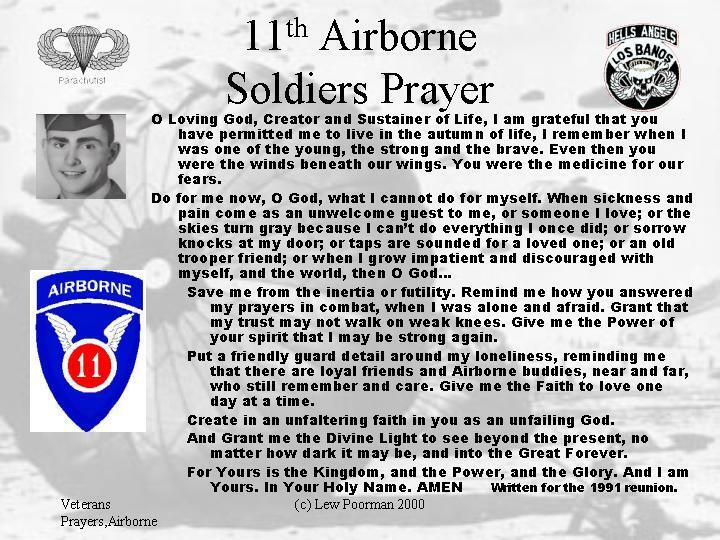 He was a member of Easy Company, 506th Regiment, 101st Airborne Division. 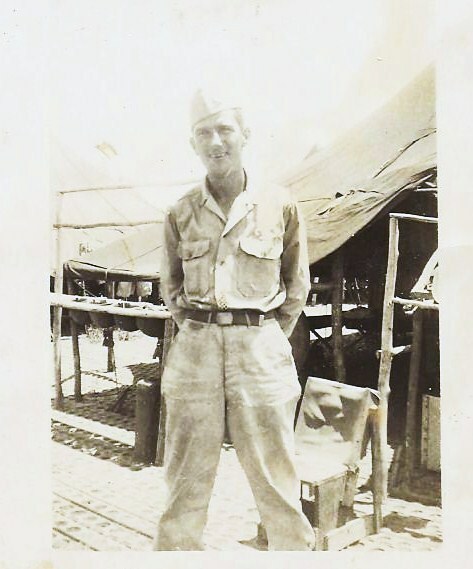 His exploits during some of the fiercest battles of the European Theater earned him his nickname and cost him his leg while trying to help a wounded soldier during the Battle of the Bulge. 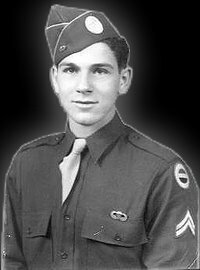 His commendations included the Silver Star, two Bronze Stars and two Purple Hearts. When he returned from the war, Guarnere lived in the row house in South Philadelphia, where he would eventually reside for 60 years. 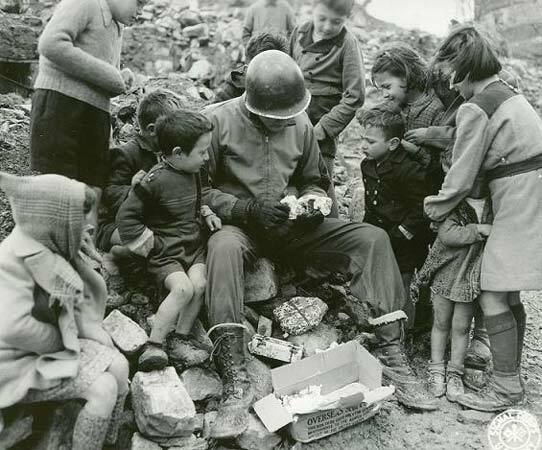 He worked in construction despite his disability and helped to put together Easy Company reunions. 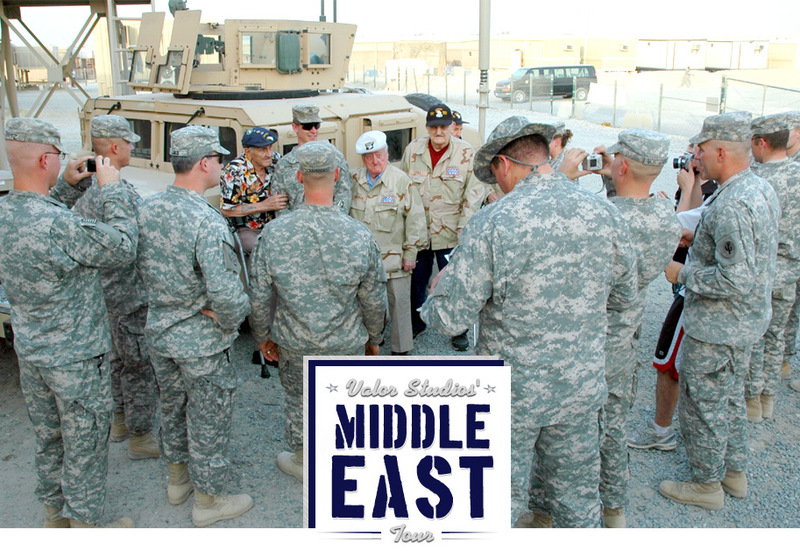 In 2007, he helped to write, “Brothers in Battle, Best of Friends,” with fellow veteran Edward J. “Babe” Heffron and journalist Robyn Post. The viewing is set for tomorrow, Thursday, at Ruffenach Funeral Home in Philadelphia and the funeral will be held this Friday. **This information supplied by FoxNews. Please click to enlarge this inspirational story of survival. 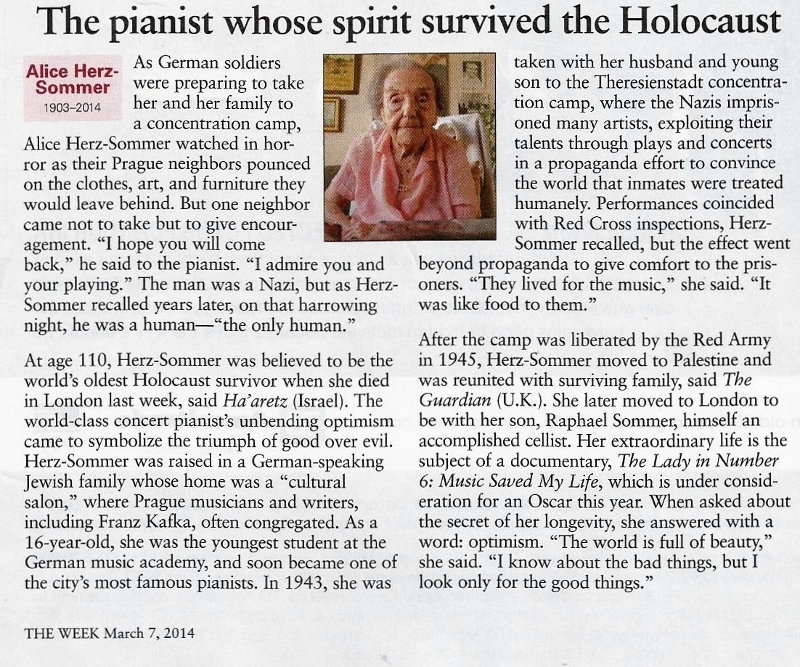 Information supplied by “The Week” magazine. Carroll Jordon – Chickasaw, AL; veteran of Korea, targeted and brutally beaten and stabbed by 3 youths. 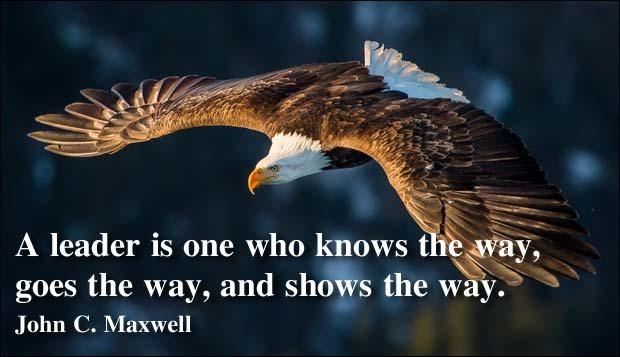 Personal note – The resources I have used throughout this Korean War project all vary in the total statistics; therefore I have been forced to give the readers the range [highest and lowest] or the only amount located. 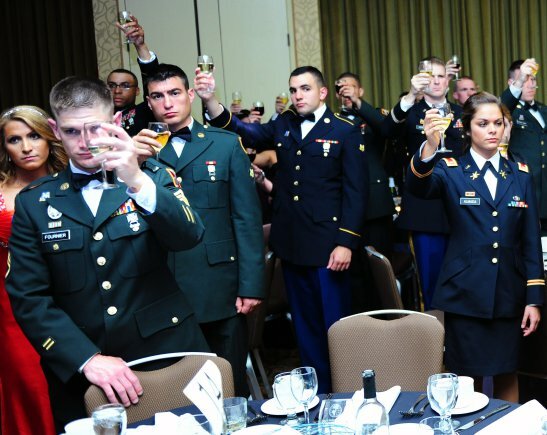 From Western resources – North Korea had 215,000 men KIA and 303,000 listed as WIA. 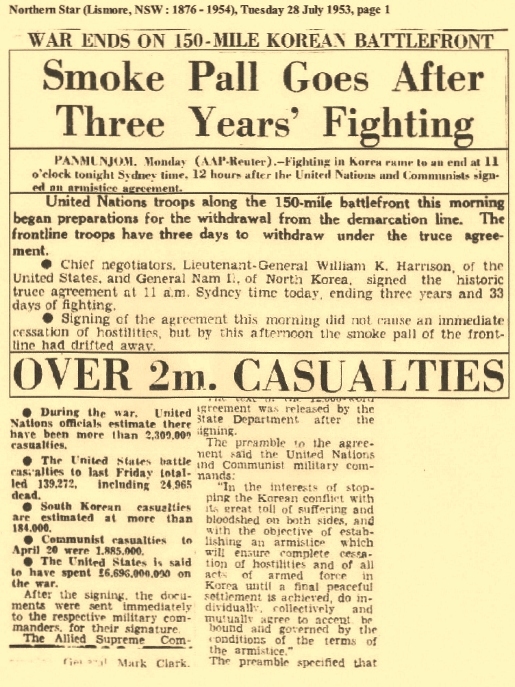 Chinese troops were down as 400,000 as KIA and 486,000 as WIA. 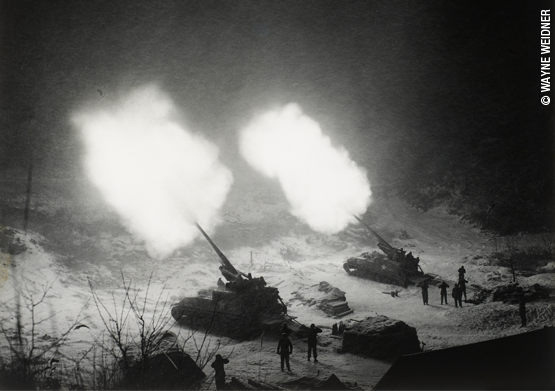 Civilian casualties in both North and South Korea could only be estimated and those numbers ran from 400,000 to well into the millions. 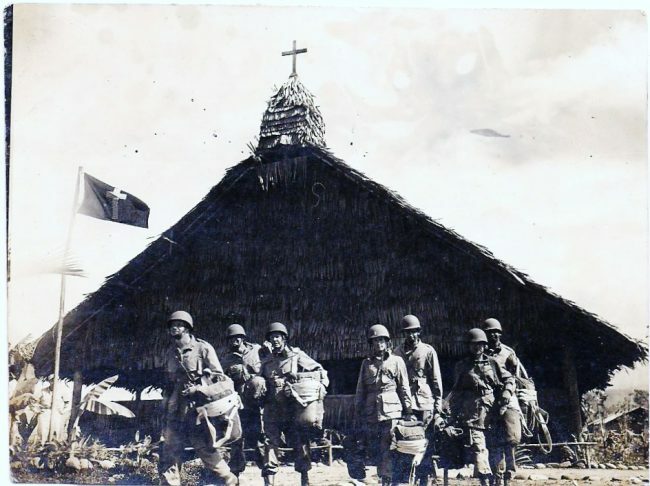 India had chosen not to participate in the fighting, but they did send the 60th Parachute Field Ambulance unit which was included in the 1st Commonwealth Division. 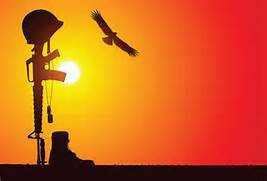 The Indian Paratroop Battalion/315 Air Division were deployed later as part of the Custodial Forces sent to enforce the demilitarized zone. 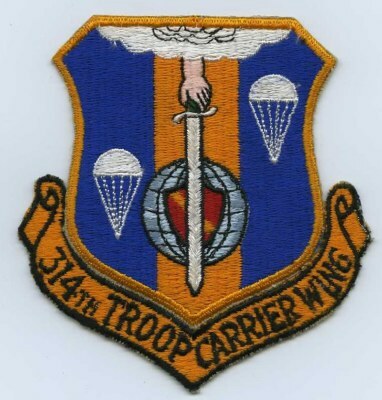 The US Air Force 374th Troop Carrier Wing, throughout the war, performed air lifts and air drops; after the cease-fire, using the C-124 Globemaster, they moved the repatriated prisoners. 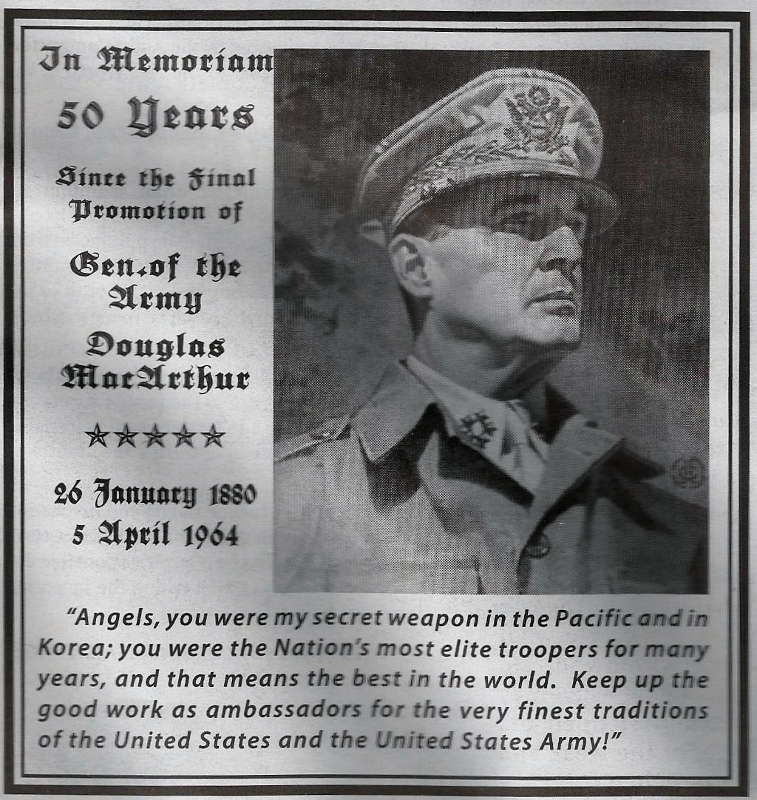 By the end of the war, they had earned their 4th DUC. 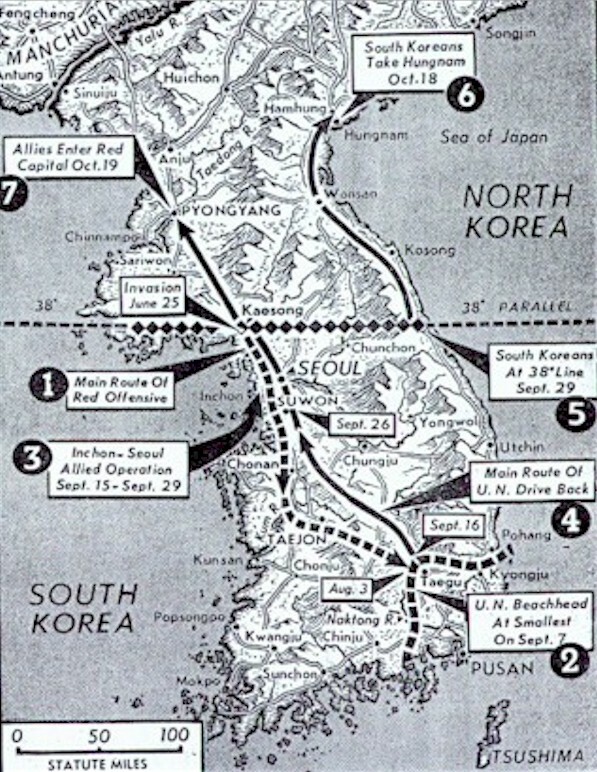 1 September 1952, a large percentage of Task Force (TF-77) was directed at supplies and positions at the front line area. One site was the synthetic oil producing center at Aoji, only 4 miles from the Manchurian border and 8 miles from Russia. The US Navy air attacks on Musan and Hoeam-dong in North Korea marked one of the few times that Panther jets were used exclusively as an attack plane. 13 September, two carrier strikes from TF-77 attacked the supply and troop billeting areas in the Manchurian border town of Hoeryong. 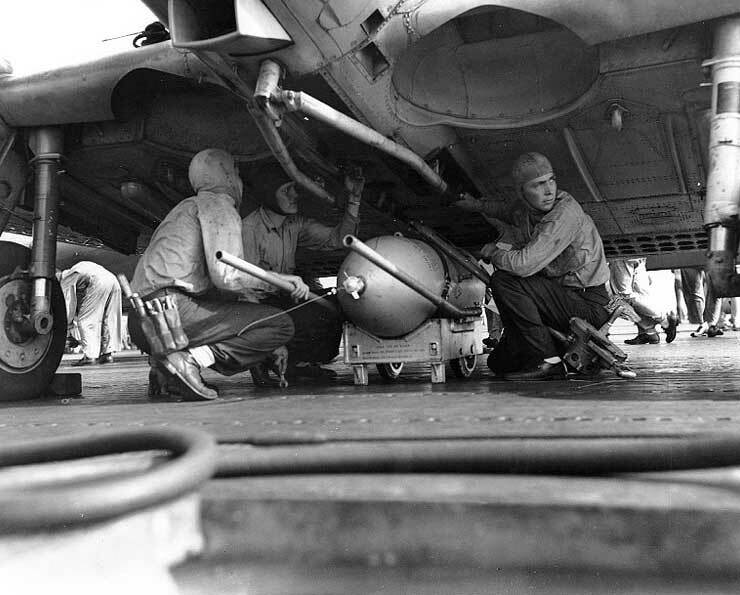 The aircraft from the USS Bon Homme Richard caught a 130′ enemy naval vessel near Wonsan and sank it with rockets and 20mm strafing. In September, the 5th Air Force sent its aircraft against enemy troop concentrations and barracks in the north-west Korean area. The Bomber Command went to similar targets near Hamhung in the north -east. Along the front lines, the FEAF (Far East Air Force) joined the US Navy and Marines to provide between 2,005 and 4,000 close air sorties each month of the summer and fall. 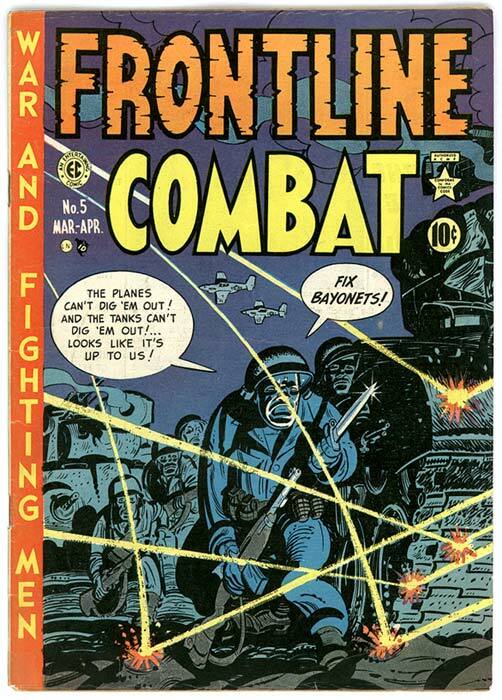 They not only flew nighttime missions but also gave radar-directed close air support (10,000 or more meters from friendly positions) at night to front-line troops under CCF attack. During the day, the Mustang (F-51) pilots flew pre-planned and close air support missions. 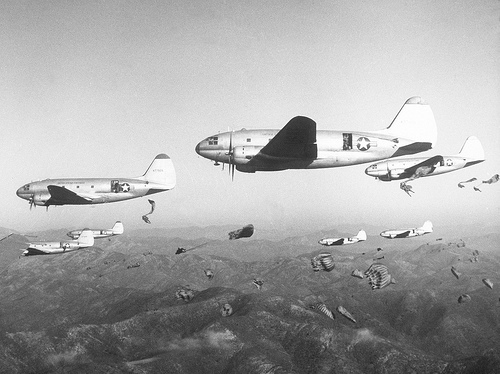 The 315th Air Division also supported ground forces, flying n supplies and personnel to Korea while returning the wounded, reassigned and furloughed to Japan. 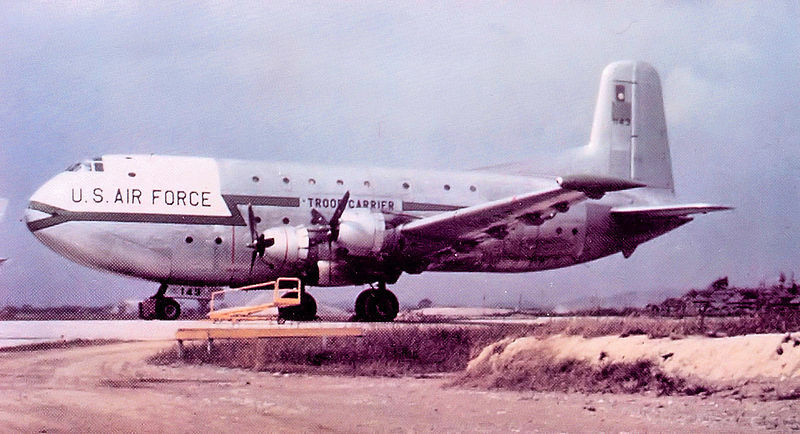 C-124s carted men and cargo; C-47s provided tactical airlift to airfields near the front lines and C-119s hauled the bulky cargo, airborne and airdrop missions. The 4th and 51st Fighter-Interceptor Wings replaced many of their F-86Es with the modified F-86-F. 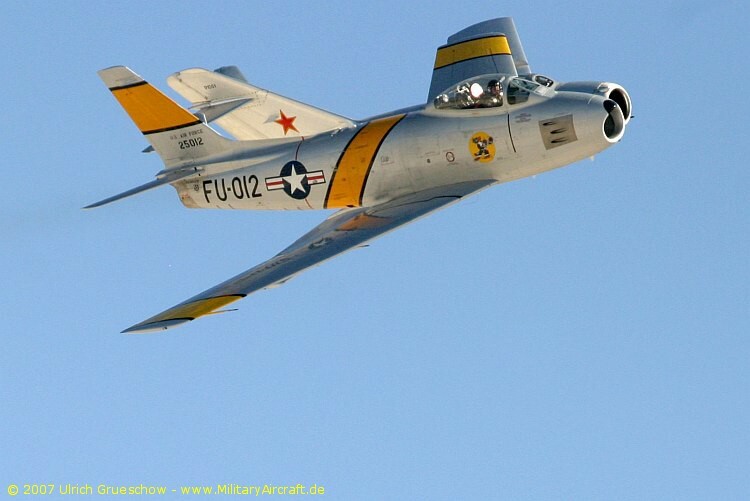 The new Sabre planes were more powerful and had leading wing edges to allow them to match the performance of the Chinese and North Korean MiG-15 jets. 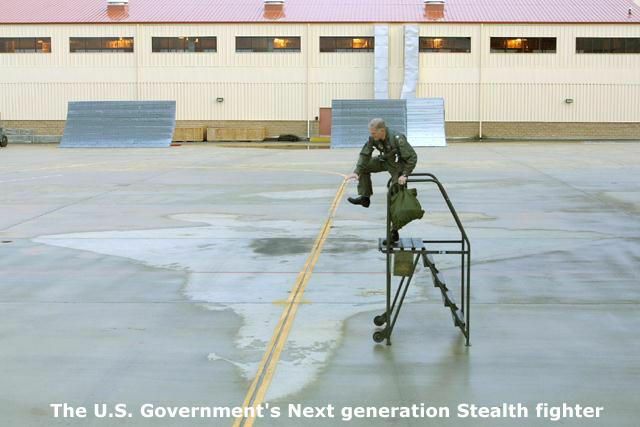 During the summer the enemy tended to stay in MiG Alley, but in September, they showed more initiative and willingly engaged the Sabres almost on a daily basis. By the end of October, the US pilots would destroy enemy MiGs at a ratio of 8 : 1. 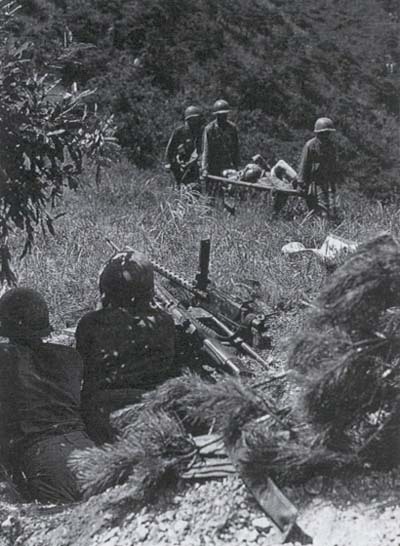 28 September, while heading toward Outpost (OP) Zebra [Hill 205] occupied by the Chinese Communist Force, I and R platoons of the 187th RCT took positions at the base of Hill 250. 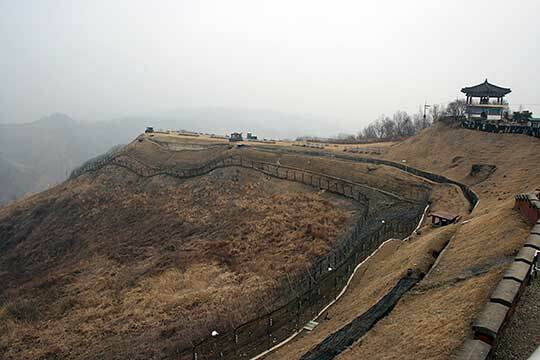 From there they could see Hill 404 also entrenched with the enemy. 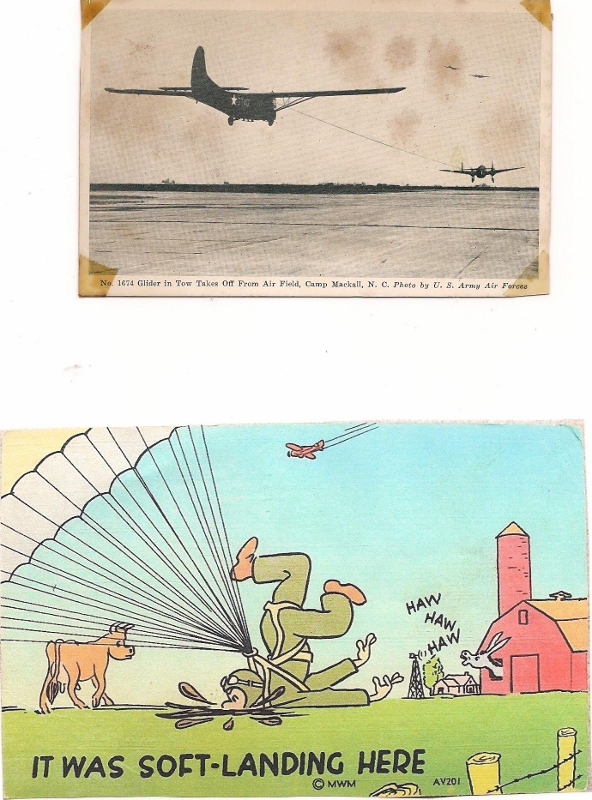 A dummy plane flew over and crashed with a stuffed “pilot” on board to act as a ruse to flush out the CCF. 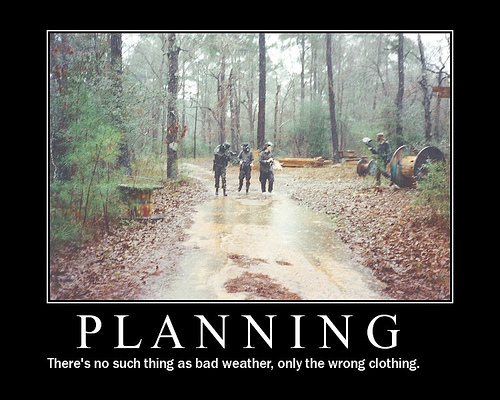 The Rakkasan troops hid and anxiously waited to see if the plan would work. 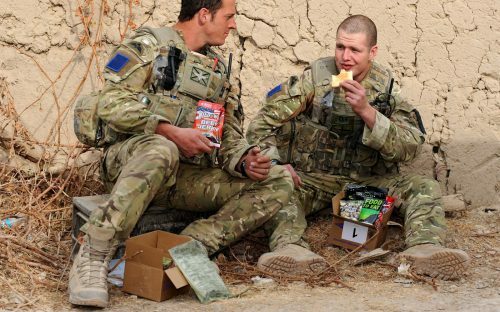 Apparently the enemy’s curiosity got the better of them and when they approached within 100 yards, the troopers opened fire and the battle was over within minutes. 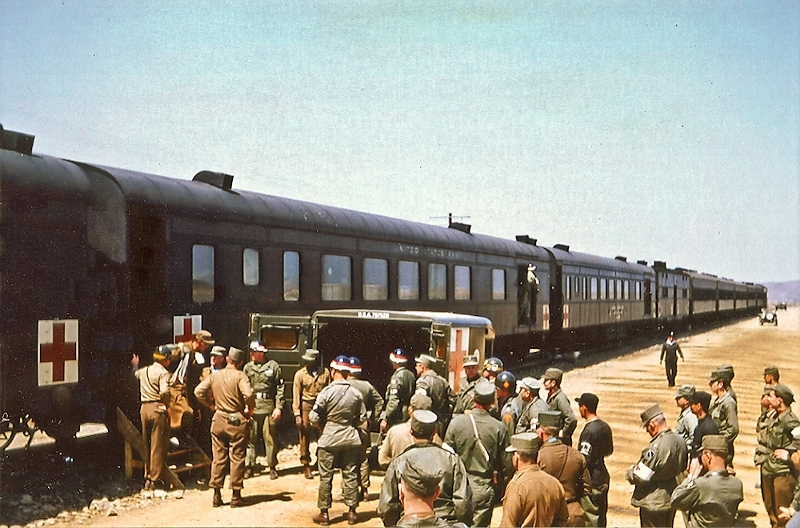 The next few weeks, the 187th stayed along Line Missouri going out on patrols and constructing bunkers and outposts. 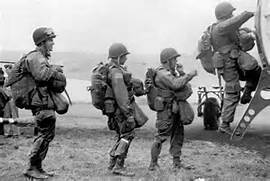 They then returned to the airfield north of Seoul and were once again considered paratroopers. 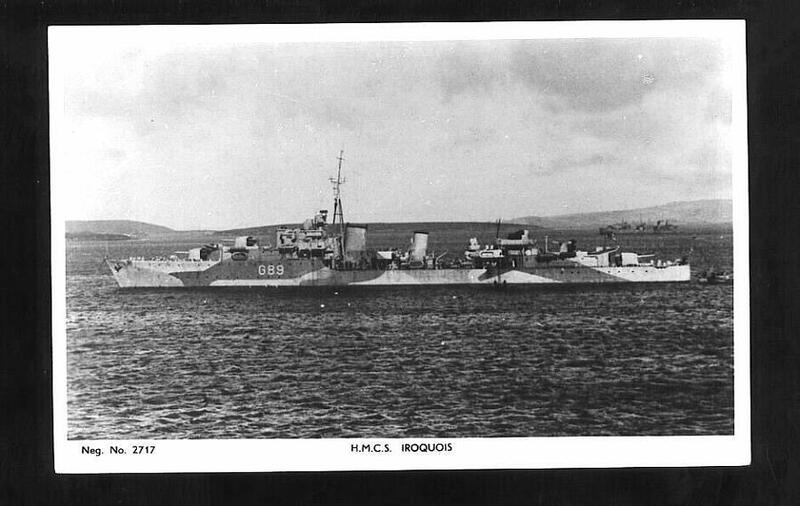 2 October, the Tribal Class destroyer HMCS Iroquois, G89/217, commanded by William Landymore, was hit by some shore batteries. This shell caused the only 3 Royal Canadian Naval casualties of the war; 10 others were wounded. 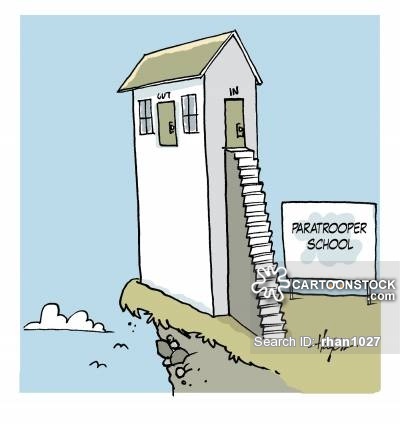 Any advertising seen on this sight is not from GP Cox or Pacificparatrooper.